Q: When you open the dhtml submenu in Firefox, the flash object in the header (logo) disappear. A: You should use Deluxe Menu v3.0. You can download licensed packagefrom the same link in your license message. Q: We want to evaluate Delux Menu(DM). But before doing any testing I want to ask few questions. -#1 Can DM support context menus on right click with in a DIV and on a button click. ex: I have a Options button on the web page and also a DIV which is transformed using xml and xsl. Onclick of the button and right click within the DIV area should popup the same menu. I have various DIVs and each DIV has its own context menu. -#2 Any issues like IE memory leaks by using DM. I am asking this we are having some issues with the present menu control we are using. IE hangs up when the web page is idle for more than 20 mins. A: 1. Deluxe Menus supports such a feature. Please, go tohttp://deluxe-menu.com, section "Samples->Functional Samples->Popup Menu"
You can create any number of menus on a page. 2. We don't know about such a problem with Deluxe Menu. Please, try atrial version of DM. It has a full functionality. Q: I am testing a trial version of your Deluxe Tuner software. I cannot configure the actual links or link names? A: You can assign link for each item. Please, use Deluxe Tuner. 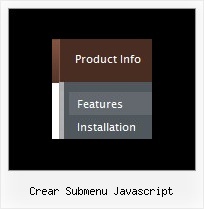 In the "Item parameters" window you can set text, link, target, iconsfor the menu items.